During the day, awnings are a great way of creating shade from harmful UV rays and warm sunshine. But they are equally useful at night for shelter from light showers and a chilly breeze. 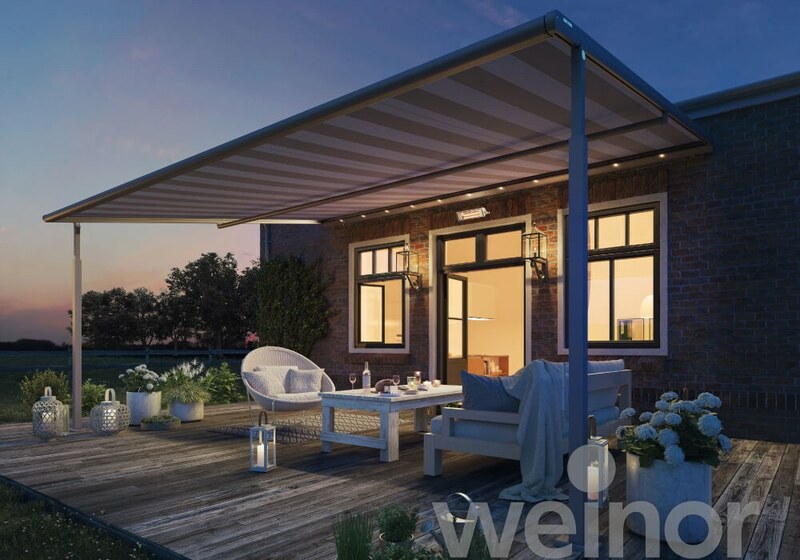 In particular, the Weinor Viva Plaza Pergola Awning is ideal for outdoor spaces that might need extra shelter from the wind and rain. Create a warm and inviting ambience with some atmospheric mood lighting. An integrated LED light bar can be fitted to the underside of your awning cassette to provide a lovely soft glow underneath the awning, allowing you and your guests to enjoy alfresco dining and sociable gatherings well into the night. The lights can also be used when the awning is closed and be dimmed to create the perfect ambience. Supplement awning lighting with garden lanterns and strings of fairy lights to really enhance the look. Take the edge off chilly summer evenings with an infrared heater fitted to your awning. The Weinor Tempura outdoor patio heating system is very efficient and will provide full heat within a few seconds. It also turns 90-95% of the energy used into heat to make sure you stay comfortable, whatever the temperature is outside. So, sit back, relax and stay warm and cosy for many hours after sunset. Keep away from prying eyes with a large patio awning. This is especially effective in overlooked gardens; sit out in your outdoor space come day or night, safe in the knowledge that you won’t be on full show to your neighbours. You could also invest in side screens for your awning to provide some extra privacy from adjoining gardens or balconies. Now is the perfect time to get your awning accessories in place ready for the summer. 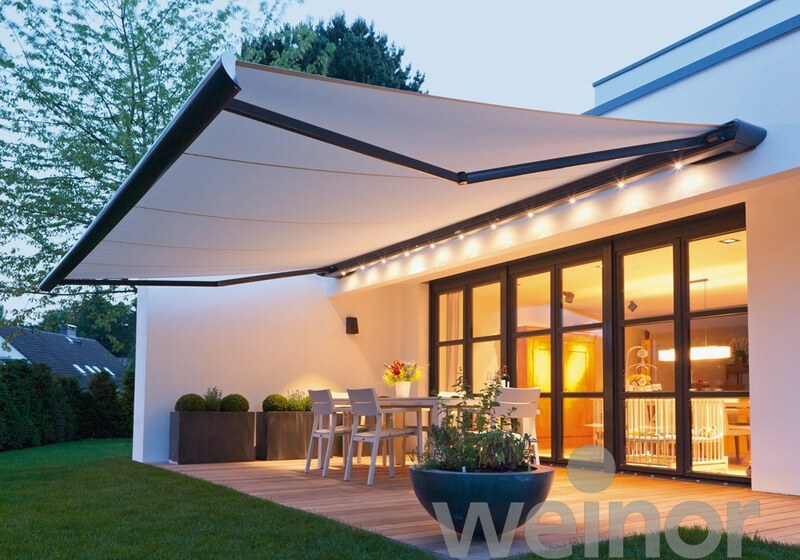 Whether you have a garden, patio, balcony or roof terrace, make sure you can enjoy your awning during the long summer days, and evenings too. If you want to find out more about our awning accessories, give us a call on 02381 290170 or email sales@awningsouth.co.uk.